Howdy! 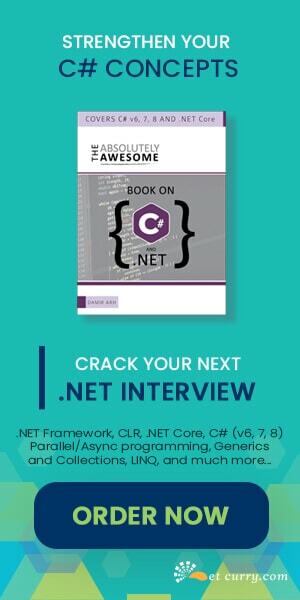 I am writing this post to announce the release of my new eBook The Absolutely Awesome jQuery Cookbook at www.jquerycookbook.com. 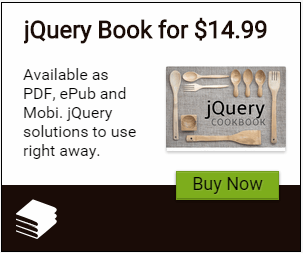 This book covers the latest jQuery v1.11.1 or 2.1 and jQuery UI 1.11.2 versions and contains 120+ practical jQuery recipes (about 70 Recipes and 50+ sub-recipes) you can use in your websites and projects right away. Each recipe includes working code, a live demo and a discussion on why and how the solution works. This eBook is available in PDF, .ePub and .mobi formats. You can also download sample chapters over here. If you have any comments or questions about the eBook, feel free to ask them in the comments section.